As part of the College's Arts Week, on Thursday 23rd March we held an event to mark the life and writings of William Trevor, Old Columban. 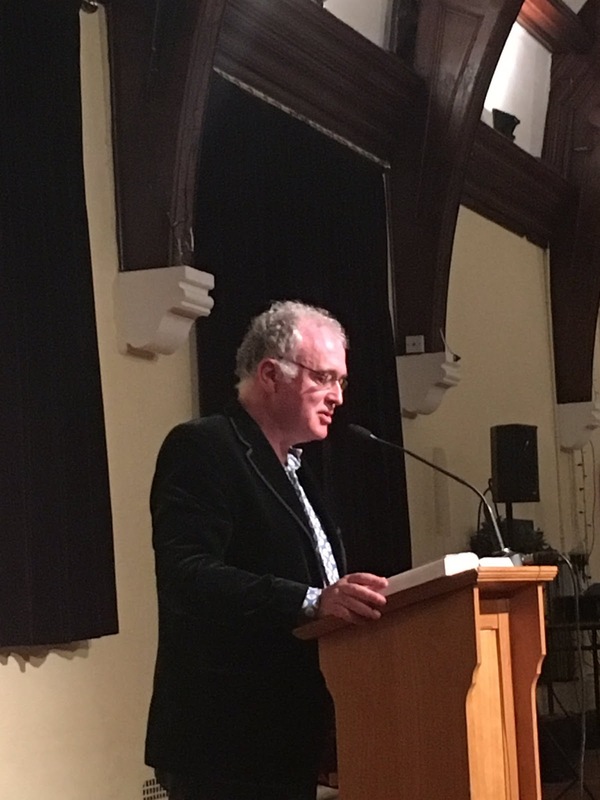 The guest of honour was the novelist Joseph O'Connor (pictured), who talked about writing in general, and Trevor's writing in particular, after reading beautifully to the audience Trevor's great short story 'Another Christmas'. This was preceded by a talk by Julian Girdham, Head of the English Department, on Trevor's connections with and writing about the College, which can be read here.